Fox Pest Control provides pest control in Wantagh and the surrounding areas. We take pride in providing exceptional customer service, and take to heart the feedback we hear from each and every one of our customers. 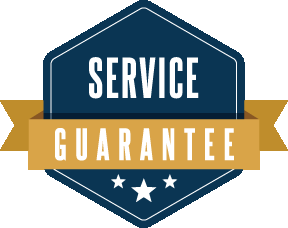 Below you’ll find our reviews, testimonials, and feedback from the home owners and businesses in Wantagh we’ve serviced. If you need a Wantagh exterminator, contact us today! Professional, knowledgeable, on-time, consistently excellent service with affordable pricing. Friendly professional and clearly explain terms and what proceedures will be used. The gentleman that did the service call was more than knowledgeable about the services and was very eager to to the right job. Excellent service by Danny and Ivan! We've been using fox for a while and have not had a problem with ants or crickets since. Danny and Ivan came today for our scheduled treatment. They were professional, very pleasant and extremely accommodating. Steve was great. He said he was going to put in for additional service call to spray second story. Waiting to hear back from them. Took care of my sugar ants problem! Haven't any problems since! So far very good. You have been to my house twice and have not had any more pest problems. Emmitt was excellent and very thorough. He took the time to explain everything and was extremely helpful. I wholeheartedly recommend Emmitt & Fox Pest Control. Thank you!!!! Everyone I have dealt with has been pleasant, professional, and efficient. The price is a bit higher than the competition, but I feel it is worth it given the level of service I have received thus far.